Contributing to society through its original cable-related technology to offer robot cables, FA cables, communication cables, optical cables and magnet wires, as well as other engineered cable related products such as connectors and plugs. Based on such accumulated experience and know-how, KURAMO offers series of products for various applications to meet a wide variety of needs of users. The product catalogue is in Adobe Reader PDF format. Adobe Reader can be downloaded here. Kuramo offers FA Network Cables between a equipment to a equipment, such as ones designed for CC-Link, DeviceNet and so on. 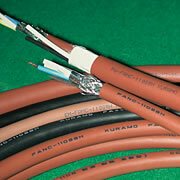 Kuramo offers Certificate cables of various countries, such as ones designed for <PS>E, UL, CSA, CE etc. 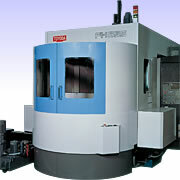 Copyright©2007 Kuramo Electric Co., LTD. All Right Reserved.